Print our Flyer and Avail Our Latest Coupons and Promotions! 1/2 Price on Drying per Wash! Avail of 10% OFF on DRY Cleaning! Take advantage of our 1/2 drying price promotions every Tuesday, Wednesday and Thursday with every wash per visit! 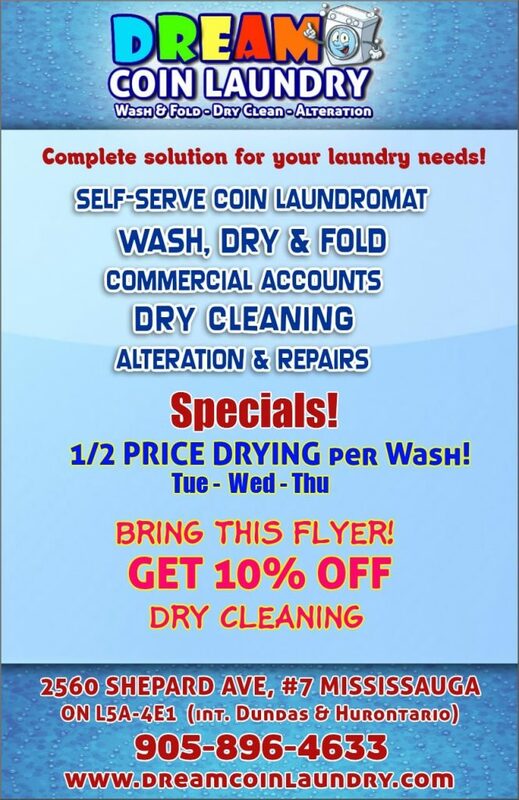 Drop by at our laundry facility to avail of these promotions.